To design a new organizational identity that better represented this growing congregation. 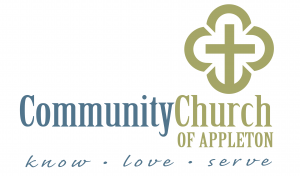 Community Church had a long rich history of being a small, local, neighborhood church. The logo they had been using was dated and uninviting. To move a contemporary congregation into the new century with a fresh design and logo to share a clearer picture of who they are and what they represent. The design elements are purposeful to their unique story and create a fresh platform for new ideas and approaches to outreach in their locale. Using light and friendly colors along with a classic font treatment, this logo provides many opportunities for other marketing and programming pieces. To help neighbors help their neighbors.